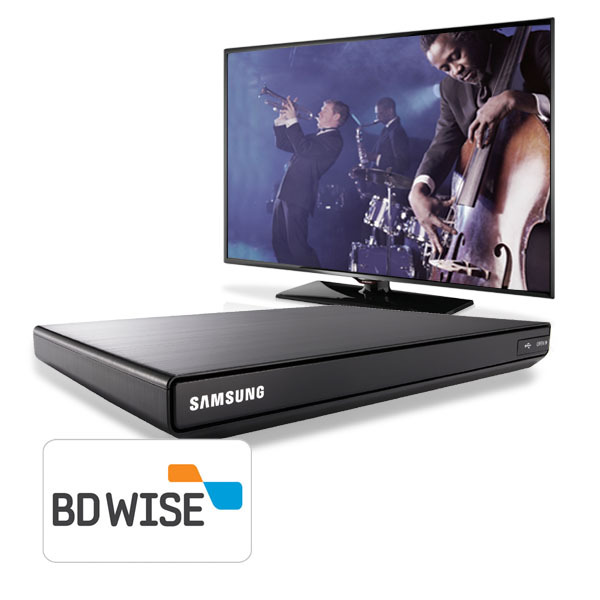 Introducing the Samsung Smart Media Player, the ultimate upgrade for any TV in your home. 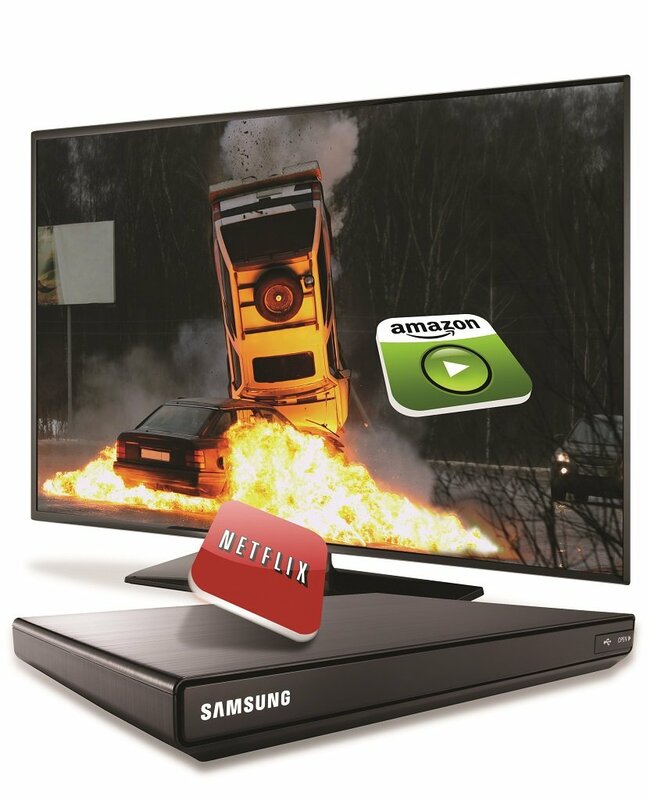 It serves as your cable box and gives you access to smart apps, including Amazon Instant Video and Netflix. All of it is controlled by just one remote to make your TV experience simple. 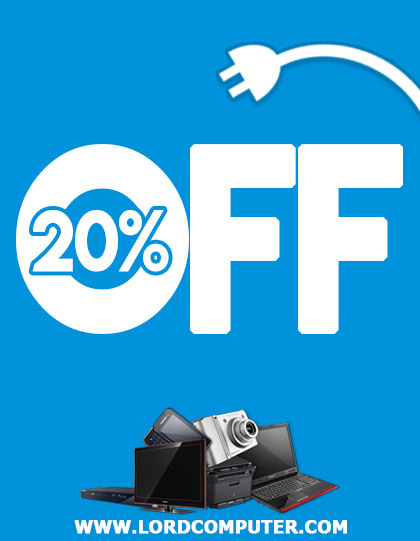 Upgrading any TV has never been easier. The Smart Media Player not only makes your TV smarter, but also seamlessly integrates your cable box into one box, with one remote. 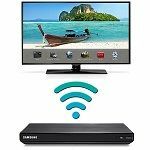 It works with most cable providers, so no change is necessary, and it can even save you money: All you need is a cable card provided by your cable company, which costs less than the standard cable box and remote rental. * And unlike other media boxes, you never pay monthly service fees. 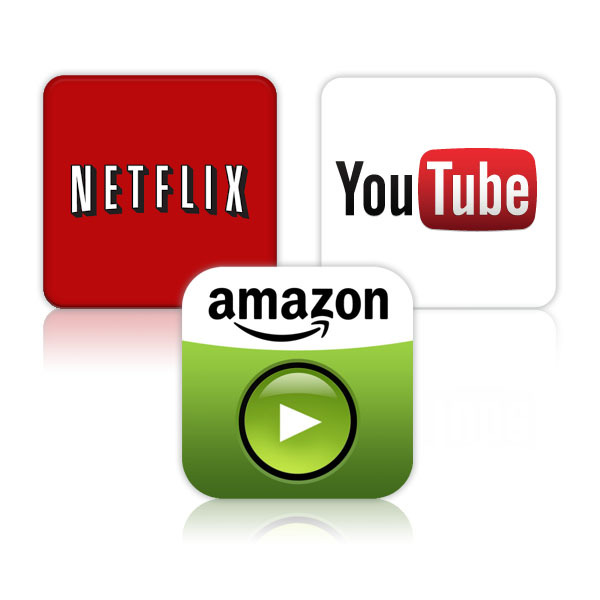 Expand your movie and TV content with streaming apps like Amazon Instant Video and Netflix. Then choose from others including social media, gaming, music, and movie apps. 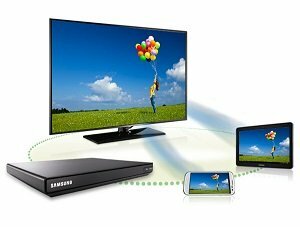 Easily share content on your portable device with others by streaming it to your TV. By connecting your portable device wirelessly, you can now send the image to the TV via the HDMI connection and share it with the rest of the room. 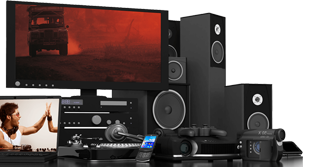 Get superior picture and sound from your HD source. HDMI is a digital connection that can transmit HD video and audio over a single cable. 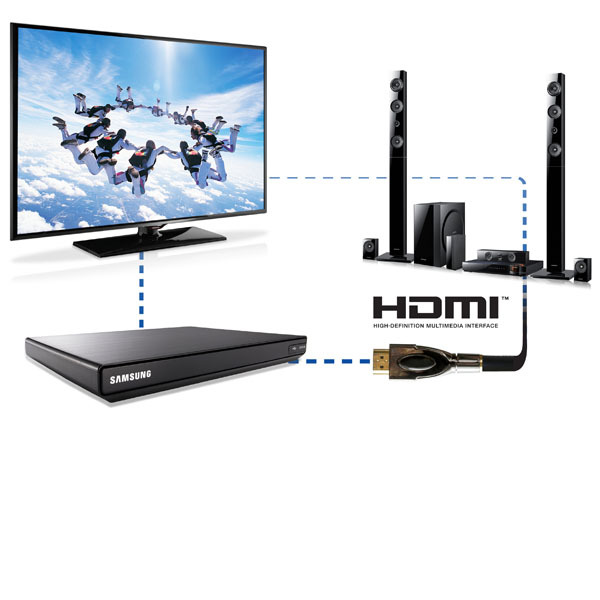 Use it to optimize the image quality when you connect your TV to high-definition sources such as HD Cable TV, satellite receiver, or a blu-ray disc player. 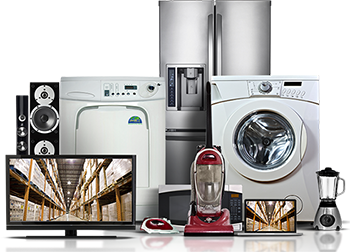 It also feature CEC capability, so you can use a remote control handset. Get vivid replay with other Samsung BD Wise products when using an HDMI connection. Enjoy full web browsing – stream the newest videos, download your favorite apps, shop online, visit your favorite sites – and instantly switch back to live TV. With built-in Wi-Fi, no additional cables or wires are needed to connect to your wireless network. 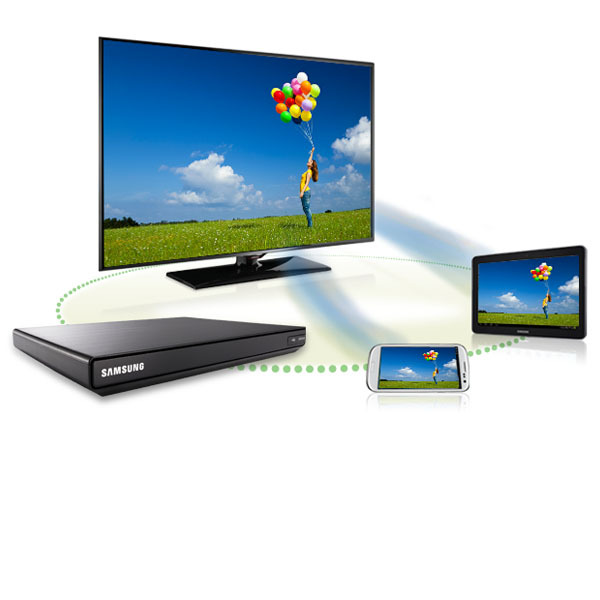 Access all your favorite Samsung apps or other Smart Media Player features with ease. 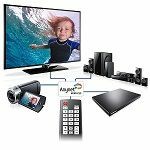 Share content seamlessly from your smartphone, tablet, computer, and other devices to your TV and vice versa from anywhere, inside and outside. 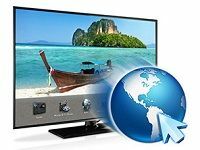 This means the photos, videos, and music on your phone can be instantly shared with family and friends on the TV. With Samsung’s Anynet+ you’ll enjoy one-touch control for all of your HDMI-connected compatible devices like your Samsung TV, blu-ray disc player, AV receiver, and home theater. 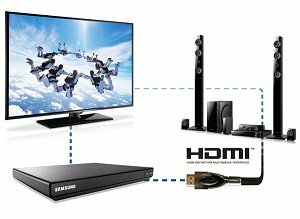 * The difference between cost of leasing a box vs cableCARD from the cable company. The savings may vary by operators. ** Cable company’s video on demand, pay per view, and other data services are not available.